Mustad 91707NPWS-NI Spinner Bait Trailer hooks are key when dealing with short striking fish. The hooks are designed with a larger hook eye that easily slips over the hook point of any spinnerbait, buzzbait or bladed swim jig. 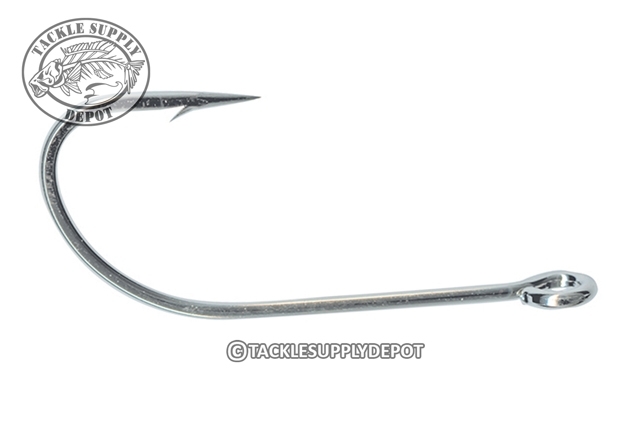 Put the hook point of the lure through the eye of the trailer hook and then cut a small piece of the included surgical tubing and run the lure hook through the tubing. Lastly slide the tubing down the shank of the lure and the trailer hook with swing freely behind the lure as retrieved providing a follow up hook however eliminating any leverage from hooked fish. Nickel Finish.